Thai and haze expressions with a high mutant rate. Fuel, chocolate, sandalwood, chap stick. Thai dominant plants with medium stretch and large flowers. Elating, motivating, introspective, creative moods, not overpowering. 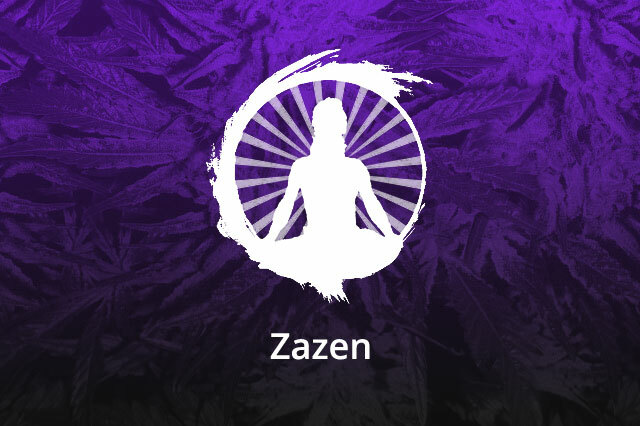 First off zazen is a novelty…an idea simply because. No intentions of reproduction…a backcross to Blue Orca using the most resinous Blue Orca x NL#5 Neville’s/Haze F1 male found at the time. Unique expressions of all the various types this backcrossed polyhybrid contains. 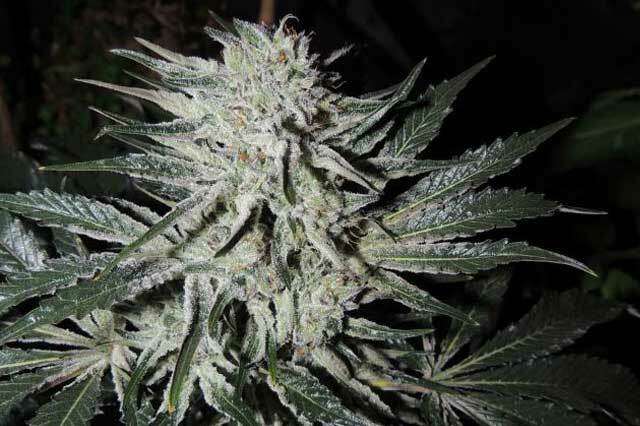 Absolutely the most frostiest plants you’ll ever see…period…and some extreme oddballs as well. Cull all mutants and slow growers. Scent is often indescribable, not attractive, more on the petrol end of the spectrum, serious raw resin. Sativa dominant smoke reminiscent of the original nl#5haze except a bit more sweet and smokable. Thai dominant with raw indica resin features surfacing. Not attractive on some expressions. Disclaimer: Please note that we do not take responsibility for the traits expressed in cannabis that appear in phenotype expression and variation of effect. Some of these types are unrefined landrace crosses, landrace hybrids, etc., and may exhibit undesirable traits not bred out yet or developed into a stable line. However, the history of the lines speak for themselves and any known imperfections are not offered. We do not exaggerate early flowering times, as most sativa/indica hybrids will have flowering time variations that range between both parents realistically between 55 and over 100 days to full fruition depending upon expression and line. Fifteen (15) seeds per pack. WOULD YOU LIKE TO TRY OUR GEAR?